Note: I have not been sponsored by any diet, fitness or lifestyle program. As always, all opinions are my own. On the day I came home from the hospital, the curiosity was killing me… how much weight had I lost now that two human beings had exited my body? They each weighed 6 pounds, so, I figured, maybe I had lost 12 pounds, or even more because you have to count the amniotic fluid and placentas. I hopped on the scale and was devastated. I had only lost 3 pounds. Weight = 193 lbs, Height = 5’2″. I looked down at my massive swollen feet, and the logical side of my brain told me that I was retaining a lot of water and needed to be patient. I had been through this twice before after giving birth to my older kids. But come on, two freaking people, it didn’t seem fair. I picked myself up and switched my focus to what was most important: caring for my four kids, healing from my C-section and basically surviving. In-fact, I was able to shove the weight thing out of my mind for the next couple of months. I had more pressing things to focus on. By the two-month point, I was ready to shift a percentage of my daily energy (which was quickly depleted each day), to myself. “Here we go Joanna, let’s do this.” I thought. I had lost baby weight before. In fact, after having each my son, and then my daughter, I was able to get my weight down within my happy weight range. But not only had I gained a little more weight than my previous pregnancies, my body had also been through a violent war. When growing two humans, it is very important to gain the required weight. It is actually a bizarre feeling to be going to the doctors and finding out that your small efforts in weight gain weren’t enough. I needed to head home and focus on consuming MORE calories. So I did it. I gained the necessary weight, stayed off of my feet and ended up carrying my babies to term. When it was time to finally get moving and change my eating habits, I decided that joining a program would help me start my journey on the right foot. In the past, I had always done Weight Watchers to get my portions under control, after being pregnant. This was the perfect fit for me at the time. My older kids were in school and my babies were little enough that they would happily stay in their stroller while I went to meetings. I was even able to find the time to prepare nutritious meals. I watched the weight roll off for the next three months, while enjoying the social aspect of the Weight Watchers meetings. By five months, I was ready to take over myself. I ate clean, healthy meals and started to incorporate a lot of exercise into my daily routine. I would wake up before everyone else, and do some strength training, before getting on with my day. 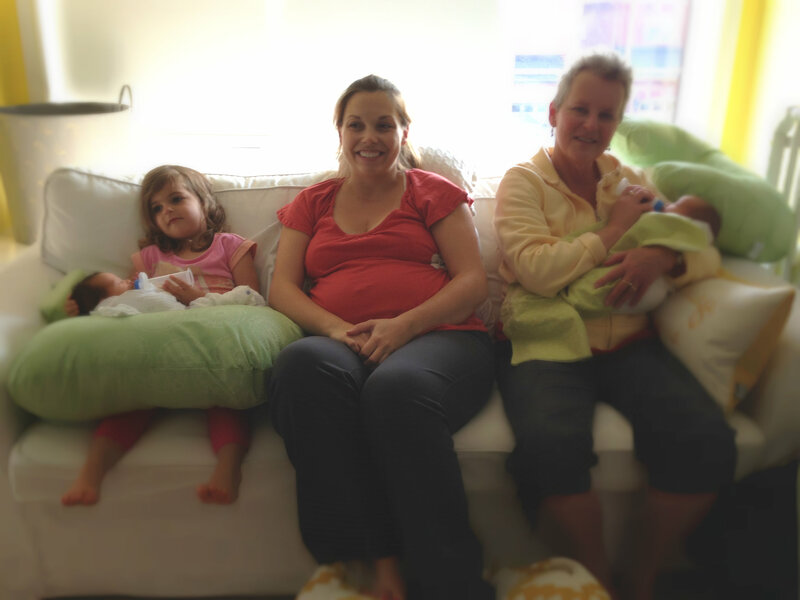 Once I was seven months postpartum, I was thrilled! 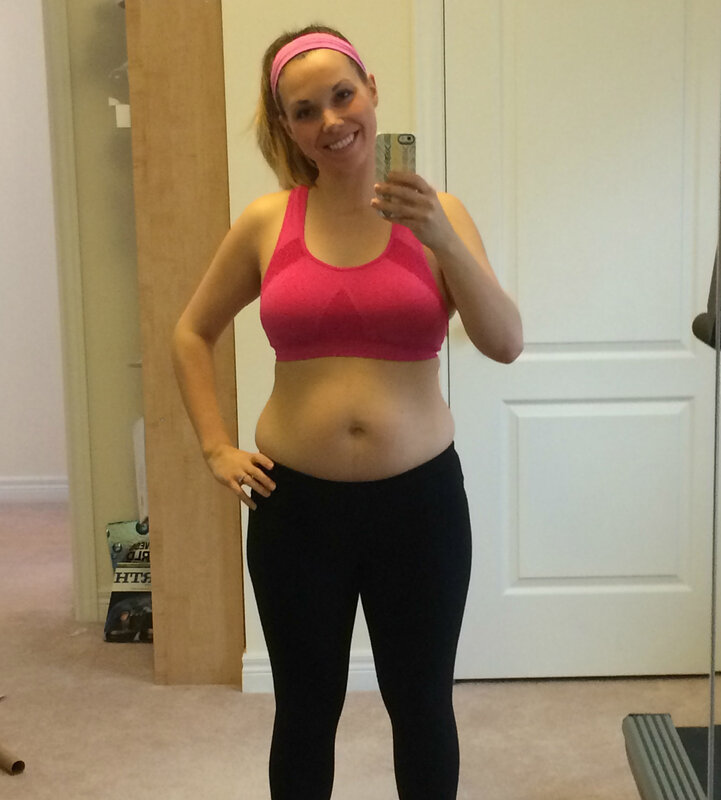 I was only 10 pounds away from my pre-pregnancy weight. Not only was I feeling stronger, my old clothes were starting to fit again. I was watching my bruised, battered and swollen body come back, and I was really pumped with my progress. I shared my new point of view with the world and celebrated the amazing things a woman’s body could do. 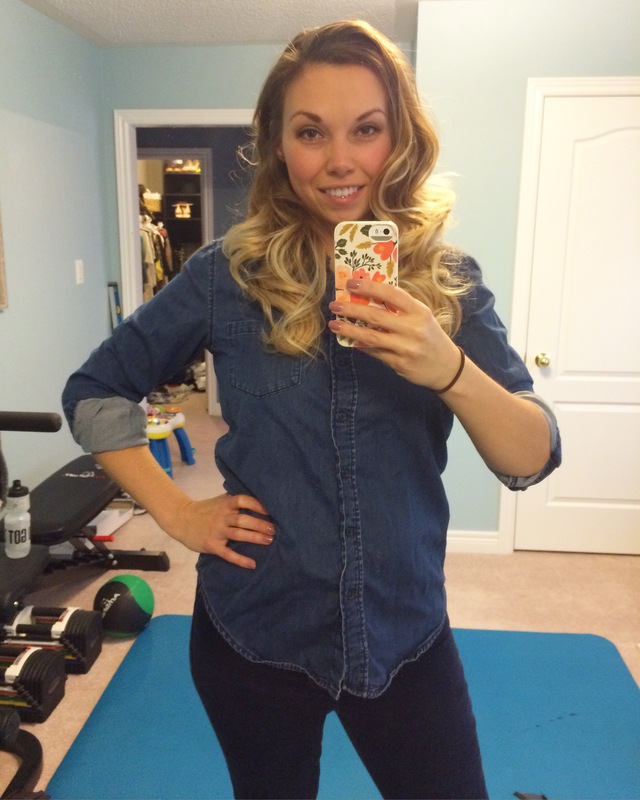 But little did I know that I was heading into a one-year weight plateau…. I started to play little mind tricks with myself, like, you’ve gotten this far, you can take days (or weeks) off of exercise. Or after an exhausting day of building my business, while giving enough attention to my family, I would “reward” myself by gorging on unhealthy, or ridiculous portions. Every once and a while I would find my rhythm and work at getting a few more pounds off, but despite making “losing the last ten pounds” my number one goal, I would continue to self-sabotage. 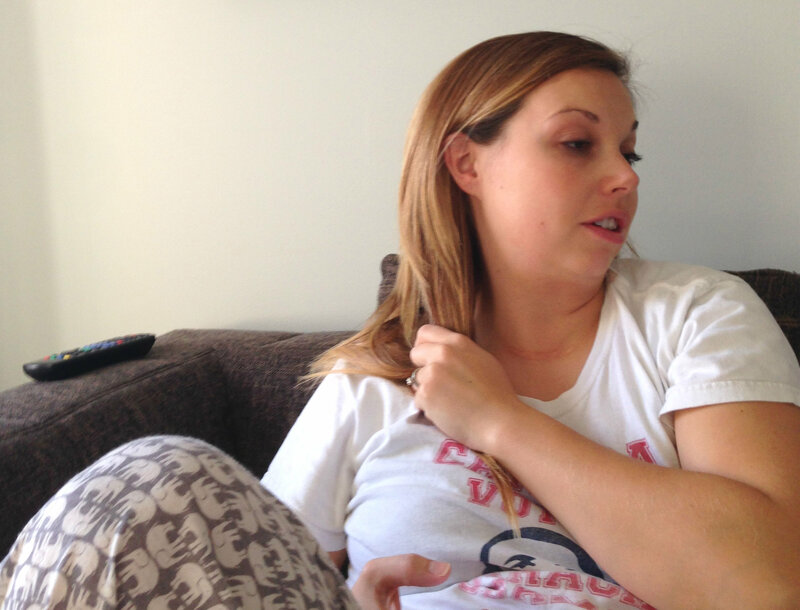 Then, at around 17-months postpartum, I made the conscious decision to relax. I embraced my body again, and be proud at how far I had come. It was this amazing machine that had created my children, and if I wanted to wear a bikini, (or whatever outfit), I would, and feel good too! While away on vacation, and taking some time off of worrying about my weight, it struck me, I was TOO focused on losing the weight. Losing those last ten pounds was completely mental. It was from that point on that I made the decision to start focusing on other aspects of my life, and for once, NOT make losing weight my New Years resolution. A month ago, I was chugging along, doing the mom thing, as well as constantly switching to my entrepreneur hat, when I realized that I was a little too relaxed. I was eating whatever I could grab out of convenience and watching the weight pile on. I didn’t have time at the moment, with everything on my plate, to put extra effort into my meals, so my husband, Mike, suggested I go on Jenny Craig. His co-worker was having lots of success from the program, and he thought it would be the perfect fit. So, I did! It was the perfect answer to my problem. I was still able to get on with my day, without obsessing about my weight, or worrying about cooking meals, (you purchase their frozen meals) other than making salads. 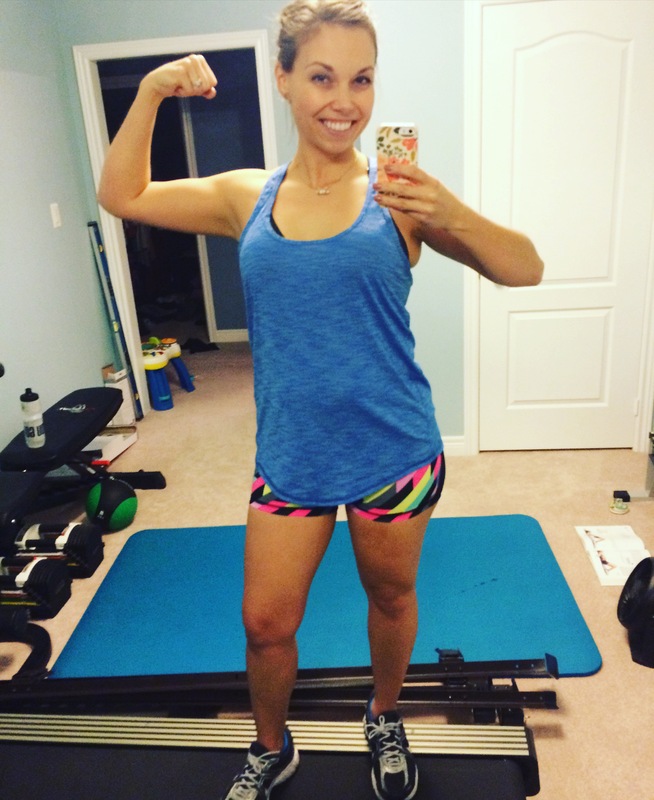 I found myself effortlessly losing weight, while still focusing on my kids and my work. It has been so great, in fact, that Mike is doing jenny Craig too! Current weight 129 lbs, total weight lost = 64 lbs. 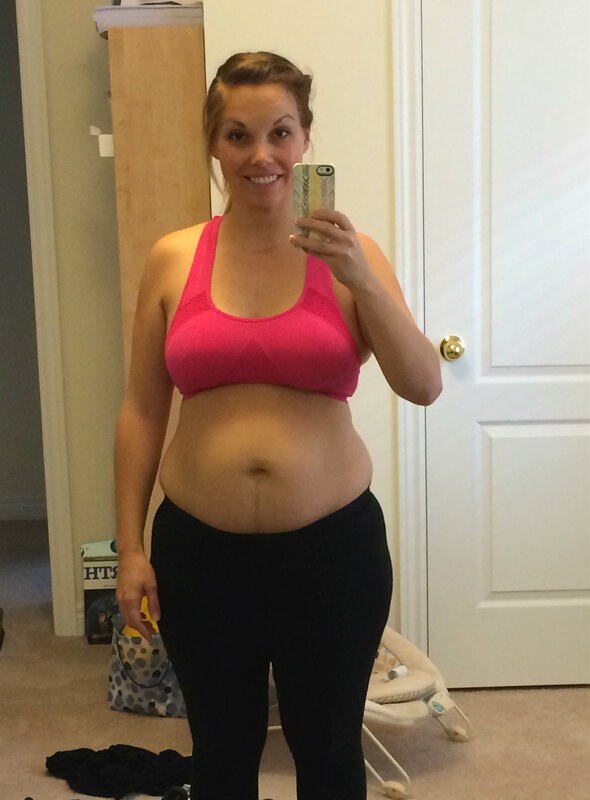 Looking back on my journey, I wouldn’t say there there was one specific thing that helped me drop the baby weight after my twins. I needed all of those different chapters to get to where I am. I especially needed those lulls, and breaks to get my head in the right space for the final stretch. My journey is not over. I cannot wait to gain back the strength I lost, while creating my four children. I have to find a new sweet spot, that is my body after kids and I am sure that I will always be having to work against that little voice in my head that says go ahead, you deserve it after those particularly stressful days. This is my last week on Jenny Craig, and I am actually really excited about cooking my own meals, and applying what I have learned to everyday life. Don’t worry, I will be sharing all of that with you. In the video below I am not only talking about my exciting weight loss, but I am also getting very real, showing you a close-up of my “twin skin” left over from my twin pregnancy. Don’t forget to SUBSCRIBE to Nesting Story on You Tube! Also, don’t forget to LIKE Nesting Story on Facebook and follow Nesting Story on Instagram where you will find lots of extra photos of my journey! Joanna, you are motivation personified as always. My twins are 19 months and I’m finding new determination to eliminate the final 8 pounds! Wow! Thank you for sharing this story. You look so great! I love how you did all the photos in the same clothes. Really good comparison there. Wow such an inspiration! I so needed to read this!! Can I ask what strength training I got you did? Would love to achieve something close to this!! Sorry for the typing error! I should have just said …. Can I ask what strength training you did? Next Next post: New Website Sneak Peek, Exciting New Collaboration And Happy St. Patrick’s Day!